The gorgeous & amazing Jehnny Beth showing her rings. I am so pleased and proud that she wears the sterling silver shark tooth ring I gave her all the time. In fact, it can be seen adorning her mighty fist on the cover of the incredible Savages record Adore Life savagesband. 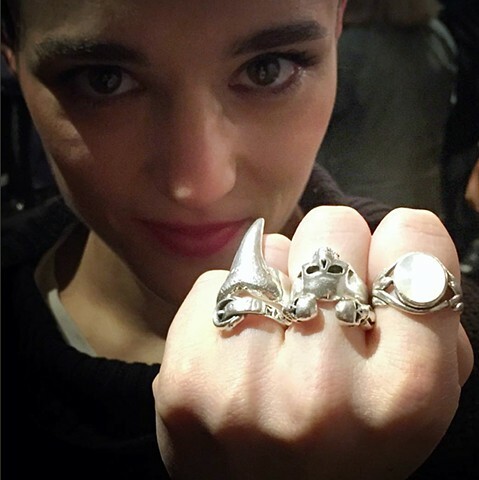 Jehnny's Fist-silver shark tooth ring!